Begin standing tall with your feet together. Next, take a step back about 3 feet with your right foot. Lower your right knee down toward the floor until you feel a stretch in the front of your right hip and thigh. Hold for 10-30 seconds, then release. Repeat the stretch by stepping back with your left foot about 3 feet, and lower your left knee toward the floor. Hold for 10-30 seconds, then release. Stand with your feet slightly wider than hip-width. 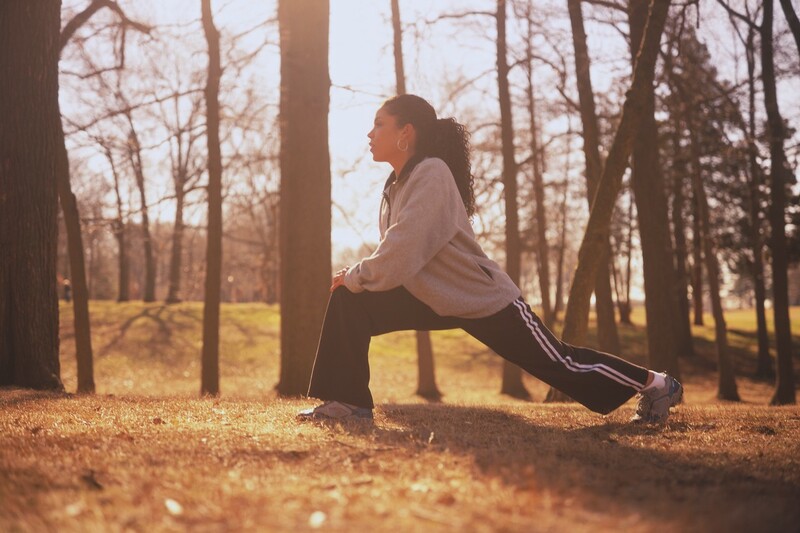 Keeping both feet flat, bend your right knee and lunge to your right side. Hold for 10-30 seconds, then release. Next, bend your left knee and lunge to your left side. Hold for 10-30 seconds, then release. Transition from work time to relaxation time with this Seated Low Back/Hamstring Stretch. Begin seated, then cross your right ankle over your left. 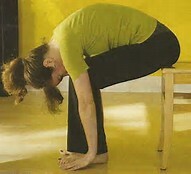 Keeping your knees straight, tuck your chin into your chest and slowly walk your hands down your legs toward your ankles. Hold for 1-3 deep breaths, then release. Next, cross your left ankle over your right and walk your hands out toward your ankles. Hold for one breath, then release.